10 Steps to Write Your Best “About” Page Ever! 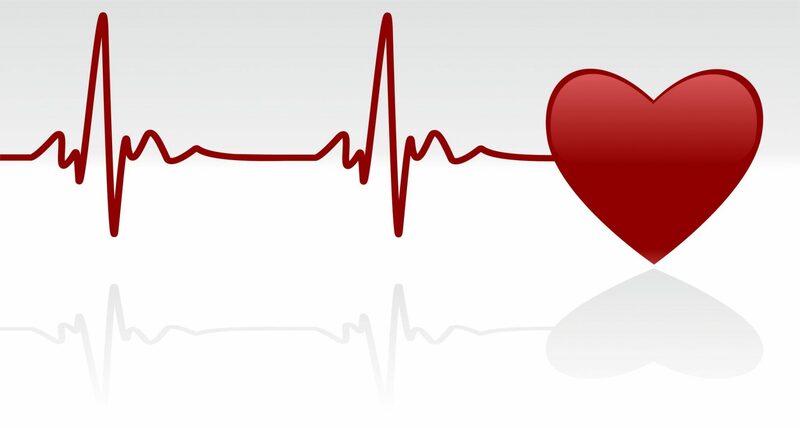 Your ABOUT page is the heartbeat of your site. Are you building a warm, snuggly community? What about a site that’s “business, all business”? Do you welcome one and all, or just a select few? None of those choices are wrong. But whichever represents you, speak to those people, and those people alone. Doesn’t that mean that other people won’t be interested? Yes! And that’s the way it’s supposed to be—as you’re clear about who you serve, those specific people can find you in the crowd—and others will go elsewhere. Note that your About page is more than a list of your accomplishments, and far more than your bio…it’s about how your life and work experiences shaped you into who you are today, so that you can help your audience. How do you want people to feel when they read your About page? Comfortable and cozy, motivated to action, informed and educated, or something else altogether? Choose your words accordingly. Make a list of the feelings you want them to feel and review it periodically as you write your About page content, so you stay on track. As you speak to your unique audience, convey not only the attitude you want, but also the tone. Do you want your visitors to see you as a chummy friend, an aloof expert, or somewhere in between? Be your unique self, believing that you’ll draw your unique audience to your message. You already do this in real life…now do it online, too, and notice the difference! You know your message and how it improves the lives of your clients. Now explain it to them, in a compelling story, drawing upon your answers to the Worksheet below to create a dynamic About page that portrays YOU. Write in the first person and pretend you’re talking to me (for this exercise, I’m your ideal client). Speak directly to me. Don’t be vague. Be your clear, likeable self, and help me “see” why I should believe in you (I want to!). Don’t expect perfection out of the gate. Give yourself time to craft your dynamic About page. Write it. Rewrite it. Edit it. Let it sit for a day or two. Then review it, change it if necessary, and post it to your site. Enjoy this process—you’re simply telling your story, explaining how you ended up where you are, doing what you’re doing, and serving a specific group of people…who are seeing amazing results, because of YOU. As you become comfortable tying your story into your audience’s story, you’ll be able to use this same approach in business meetings and elsewhere, helping your ideal target market find you. Note that not everyone will be interested in what you do, and that’s all right. #1 What’s your Big Idea–Your Headline? This can be a startling statistic, a bold claim, your mission in life, or what drives you. Grab my attention with a compelling phrase—no paragraphs! #2 Describe how I’m feeling. You know me. You’ve served me (or people like me) for years. Am I frustrated? Am I dissatisfied with the status quo? Am I facing a challenge? What’s my pain? Prove you understand me by describing how I’m feeling. #3 Why am I feeling like this? Am I searching for something? Trying to overcome a trial? Am I striving to reach a goal or overcome pain? When you explain my biggest problem, how I’m feeling, and why, you’re showing me how well you know me. #4 Describe what I’ve been searching for (or going through). How many ways have I tried to solve this problem or overcome this challenge on my own, and what obstacles keep resurfacing? Which questions am I asking that I can’t get answered? #5 What have you overcome that is similar to what I’m facing? We all struggle. What challenges have you overcome that help you identify with my challenges? #6 What makes you the PERFECT person to help me? Explain to me how you’re exactly the person I’ve been looking for—do you and I have similar backgrounds? Did we face the same trauma? Overcome the same challenges? Feel the same pain? #7 How does what you’ve been through equip you to help me? Whatever commonalities we share, you’re further along than I am (in this particular area), else how can you help me? Tell me how your background uniquely prepares you to help me find the answers I’m desperately seeking. #8 Was there a moment when you were struggling that you knew it was time for a change? When you invested in yourself the way you think I should invest in myself now (with you)? When you experienced the common pain, challenge, or motivation that we share, something spurred you to action that required significant change to overcome that pain, meet that challenge, or be inspired by that motivation. Tell me that story. And then tie it into my pain, challenge, or motivation. #9 How will I feel when I’ve overcome this problem, met this challenge, or found the answers to my questions? How will my life improve as a result of knowing you / hiring you / participating in your ministry? You’ve identified my problem, showed me you understand how I feel and why I feel this way, now tell me…how will I feel (and how will my life improve) after I’ve worked with you? #10 Identify the person/people/group with whom you best work. Do you work best with women only (or mostly)? Families? Business owners? Ministry leaders? Pre-teens? The commonality may be 1) age, 2) ethnicity, 3) economic factors, and on and on. Be specific. Identify who you’re a good fit for, because those are the people looking for you. Help them find you! Tell me what to do next. What do you want me to do now? Call you? Book an appointment? Sign up for your newsletter? Be specific. Be clear. Invite me to connect with you in a way that requires me to take some sort of action–so you can stay in touch with me periodically–growing your email list. your answers to the questions in this worksheet. Show them how much you know about them! trust you…because you’ve walked the same road they’re currently on. Closing section: Tell them what you’d like them to do next—identify a specific act and point them toward it. What Does My ABOUT Page Look Like? I’m doing things a bit differently on my current ABOUT page(s), and here’s why. I wanted to showcase the three types of clients I serve: 1) those who are already successful in other arenas but just now developing their online platform, 2) those who are already established in ministry and want to re-brand, or take their online presence up a notch, and 3) those who know they’re gifted, know they have a solid message, and know it’s time to transform their gifts into a business or ministry. And I also wanted to share a bit about myself and my husband, David, and how God’s worked in our lives (which is–of course–similar to how He’s worked in my ideal clients’ lives). So rather than have a super-long ABOUT page with multiple focuses (not good! ), I chose to create two pages, both with unique titles so visitors can tell at a glance which is which, and both found under a joint ABOUT page on my navigation bar. Q: How might you use this post’s content to create or update your ABOUT page?